Since Ruby Dee’s passing away at age 91 on June 11, the media coverage of her life has depicted her as an important actress who broke through racial barriers and a leader in the Civil Rights movement. 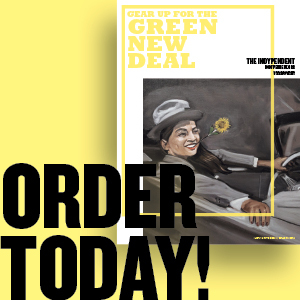 However, it erases her long, courageous involvement with her comrade and husband, Ossie Davis, in the radical left, particularly with organizations and campaigns connected to the Communist Party (CP). She was still politically active as late as 2003, when at the age of 80 she emceed the memorial for blacklisted CP member and Marxist historian Herbert Aptheker. This leftist commitment probably explains why she sustained such a rarely equaled, long history of activism with her husband, who often appeared with her on the stage and screen. Ruby and Ossie were extraordinarily generous and bold, lending their celebrity to a host of leftist causes and holding affiliations with a variety of groups associated with the demonized CP. They fought Joe McCarthy's anti-communist witch-hunt and supported its victims, organized to restore Paul Robeson’s passport and rallied for the Rosenbergs and Che Guevara. For such activities they were accused of being CP fellow travelers and of belonging to communist “fronts”; they were blacklisted, called before the House Committee on Un-American Activities and investigated by J. Edgar Hoover's FBI. Street Dreamers . . .
By tired and sick middle class . . . . . Her first major film was The Jackie Robinson Story (1959). Like Robinson, she was the one of the first to break racial barriers in her field. She finally began to be recognized when she received praise for her role in the stage production of A Raisin in the Sun, written by CP member Lorraine Hansberry (1959) — it was the first Broadway performance by a black woman — and later for her performance in the screen version (1961). In Jules Dassin's Uptight (1968), she was the girlfriend of a moderate-turned-militant; in an episode of Police Woman (1975), she played a communist professor based on Angela Davis. She and Davis also appeared in Spike’s Lee’s films, Do the Right Thing and Jungle Fever. Dee was recognized with an Emmy for the TV film Decoration Day, was nominated for an Oscar for American Gangster and triumphed opposite James Earl Jones in Athol Fugard's anti-apartheid play Boesman and Lena, for which she won an Obie and a Drama Desk award. These are just a few in a long list of honors. Ruby and Ossie supported the most radical wings of the Black liberation movement, such as the CP-led Civil Rights Congress, as early as 1946. They were also active in the NAACP, CORE, SCLC and SNCC, supported the Freedom Theater and were friends of MLK and Malcolm X. Ossie spoke at both of their funerals and was chairman of a memorial tribute to W.E.B. DuBois. They formed the Association of Artists for Freedom, which called for a Christmas boycott to protest the 1963 Birmingham church bombing that killed four little girls and did fundraisers for the Black Panthers. They were emcees for the entertainment part of the March On Washington, were arrested at Police Plaza protesting the police shooting of Amadou Diallo and were active in the fight against apartheid. One of their seven grandchildren was named Jihad. They also consistently and vigorously opposed war, particularly the American fight in Vietnam. Ossie was in the Ad Hoc Committee of Veterans for Peace in Vietnam, and the two participated in a “Read-In for Peace in Vietnam” and in a “Sing-In for Peace” concert at Carnegie Hall as well as the Voters' Pledge Campaign for peace candidates. In early 2003, Ruby and Ossie were among the signatories of a proclamation vowing opposition to the impending U.S. invasion of Iraq. 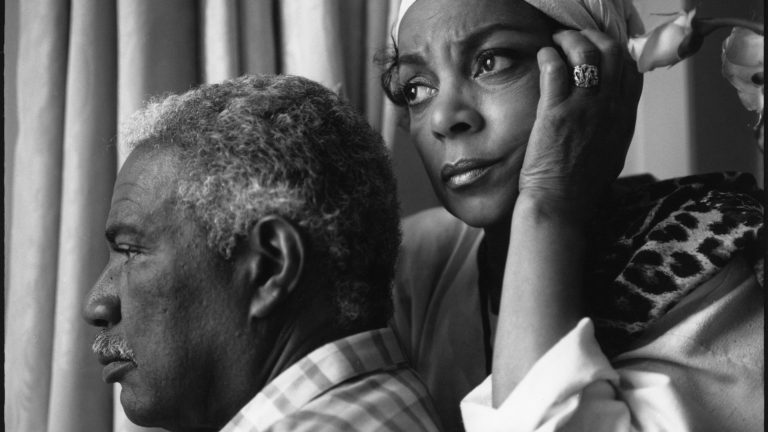 It would be hard to find an artist or even an activist more consistently radical than Ruby Dee and Ossie Davis, though unfortunately it is not at all unusual that the media would ignore their radical history, as they do the history of the U.S. left in general.